If you are planning a trip to Belize City, then you should definitely plan to check out the historical sites and culture as well. Belize history is rich with enough cultural and natural attractions to pique the interest of any history buff. Caribbean culture mixes with a British colonial past while the distant shadows of ancient Mayan history provide an intriguing backdrop. In fact, recent historical discoveries have led anthropologists to declare Belize an important center of ancient Mayan civilization. Belize is unique among many Central American countries in that it was not colonized by Spain. Instead, the influence in Belize and Belize City is largely British. Belize City was actually the first settlement by a European country in Belize. It was established as a major British lumber post, and it still displays that influence today. Much of the architecture in Belize City is Victorian in design, and the official language is still English. Belize and Belize City has a wealth of historical sites to explore. A good place to start is the Museum of Belize in downtown Belize City. This museum was converted from a British colonial prison, and treasures are even displayed in cell blocks with brick and bars still intact. The collection hosts a wealth of ancient Mayan artifacts among other treasures. 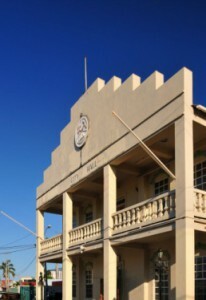 Another historical site is the House of Culture, which used to be a government house before Belize became independent. The house now hosts a variety of exhibitions by local artists as well as original furnishings. Ambergris Caye is an island off the coast of Belize and is not far from Belize City. Water taxis are available and run on schedule to take visitors to the island for a range of activities. In recent years, much has been discovered about the Mayan influence on the island. The Marco Gonzalez Protected Mayan Site is considered by many experts to be the first location where the Mayan lived. The site is full of Mayan artifacts and relics from burial spots to shells, tools and more. Tours are available for visitors to explore and learn more about Mayan culture and history. Click here for more ideas on great things to do in Belize City and surrounding areas.